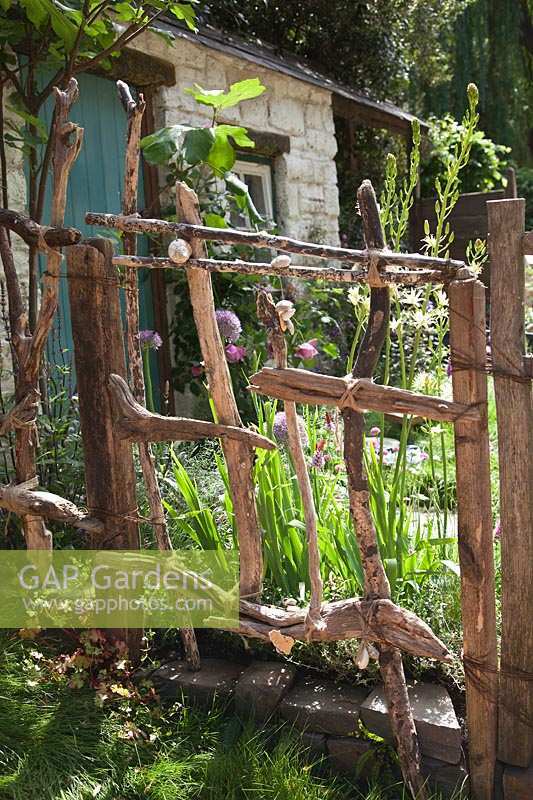 Driftwood Garden gate. 'Postcard From Wales' Garden, RHS Chelsea Flower Show. Image 1299812 has been added to your cart.